Dom is not only one of the most well known front men in Portland for his band The Lucid, but he's also a cast member of our series. We're lucky to have him playing a set at our party on March 5th at Geno's Rock Club in Portland. We've been told that members of his band will be playing with him as well but we don't know yet if it will be the full band or not. *fingers crossed* The Lucid also has a new self-titled record just released. This is going to be a big year for The Lucid and for Ragged Isle. My first attempt at ADR went surprisingly well. There was one scene (I won't mention which one, don't want people looking for it) that needed major audio revision so I, not knowing anything about how to do it, had a couple actors come over and I played their lines over and over until they got comfortable with the rhythm and then we recorded them in Garageband. I had my fingers crossed until today when I had a chance to drop them into the scene. Wouldn't you know it, with little tweaking, it works. Phew! Maybe we'll try a Ragged Isle spaghetti western next! Also, on the sound front, I am blessed with an over abundance of great music submitted from varied local musicians. Some directly associated with the series, and some local friends of the crew. 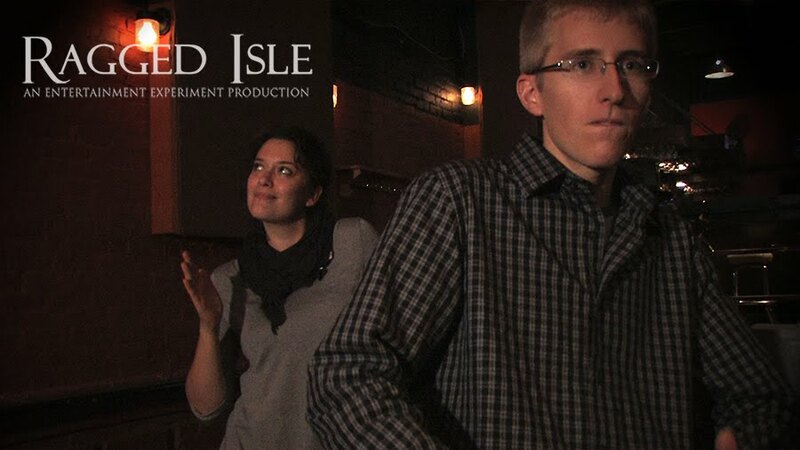 Folks outside of production who have contributed are Todd Dadaleares, and Abram Grivois (vik44) and Richard DeCosta. The soundtrack for this series will be quite the sonic experience. You'll have to wait for the season to end before the album will be released though because there is key surprise music that will be included. Songs that will play a key role later in the season. It will be a good thing to look forward to though. Worth the wait to be sure! 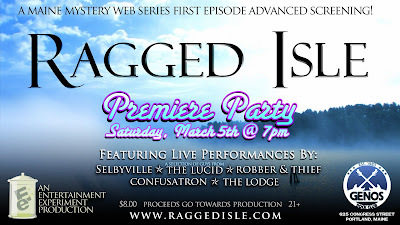 In the meantime if you're curious about some of the music in our show, you might want to come check out our Ragged Isle Premiere Party on March 5th. 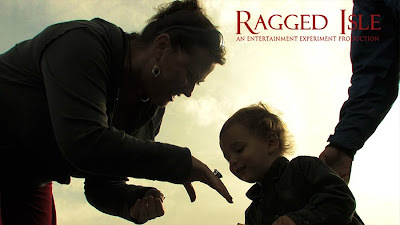 Plenty of Ragged music will be experienced that night live and in person. 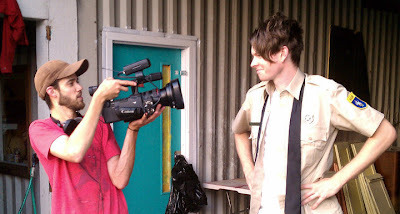 Doug Porter and Dominic Lavoie as Dirty Bill and Mac. Two of the local fishermen on Ragged Isle. 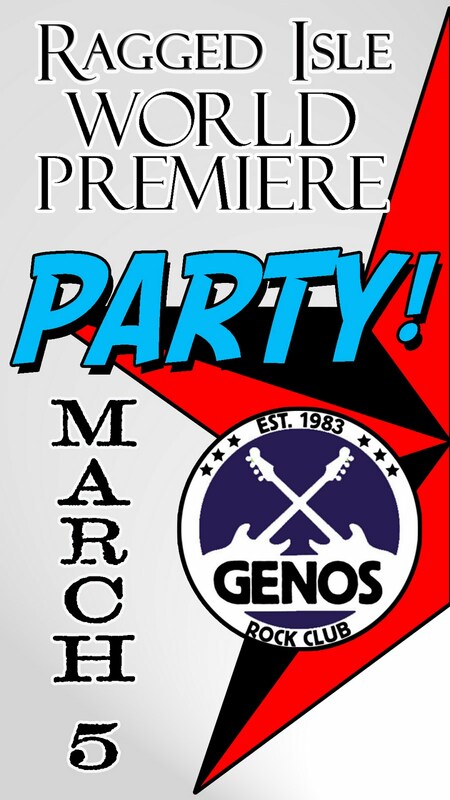 Also two of the critically acclaimed musicians performing at our Premiere Party at Geno's Rock Club on March 5th. They have written music especially for our soundtrack as well. Ragged Isle is a multi-media Maine artist showcase and we couldn't be more pleased to be working with all these fantastic artists. 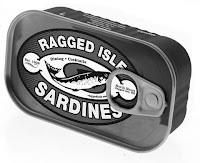 Somehow, strangely, writing is still being done for Season One of Ragged Isle. Erik Moody and Ian Carlsen, two of Ragged Isle's cast are also members of a great local group called Robber & Thief. They will be performing at our Premiere Party on Saturday, March 5th at Geno's Rock Club in Portland. Enjoy a little taste of their musical talents in the meantime. Just for fun, check out our trailer one more time and stick around until the end where we reveal the date that our first episode will hit the internets! Spread the word! 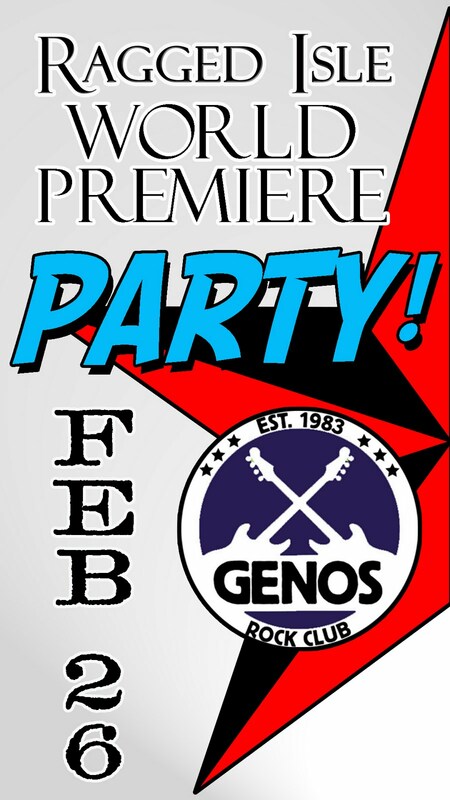 Our premiere party has had to have its date changed due to scheduling conflicts. We've been allowed to move it to the following Saturday, March 5th. Planning is still in the works on how the nights festivities will unfold but it's safe to say, there will be great music and lots of fun. We'll have a very special numbered limited edition poster print available at the event created by Ragged Isle writer and prop builder Jacob Lear. Very cool. T-shirts will be available for purchase as well. Lots of actors will be on hand to meet and shake a hand and take a picture with. Don't even try to get them to spill the Ragged Isle secret as they have already been sworn to secrecy! Although if you buy Sheriff Dalton a drink who knows what that man will say. In the weeks to come, we will reveal more information on our party. Again, let everyone know. Bring a friend. 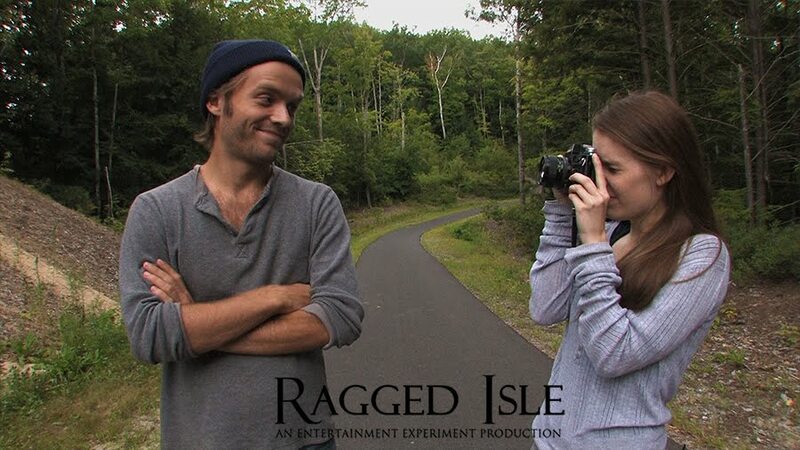 All proceeds will go towards producing our second season of Ragged Isle. I hope to see you there! 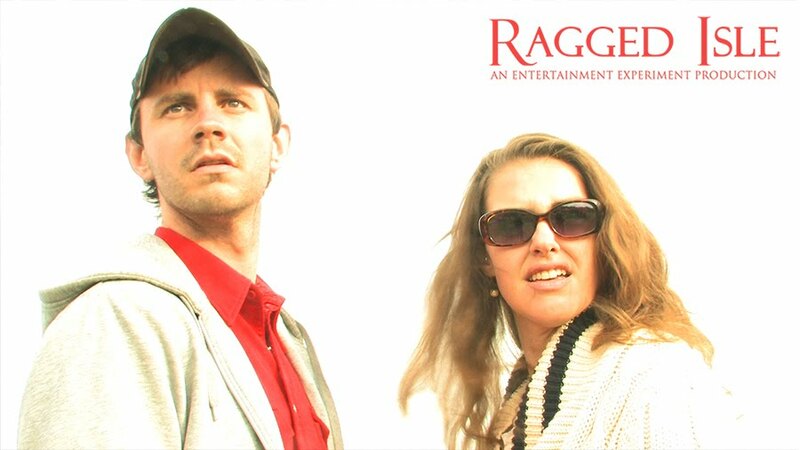 Ian Carlsen as Paul Soucey and Meghan Benton as Vicki Burke. 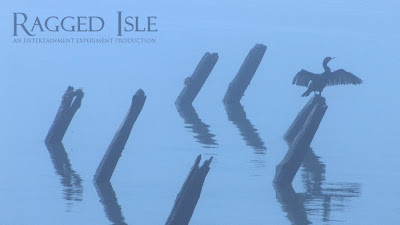 One on the many talented bands who have contributed tracks to Ragged Isle is the category defying Selbyville. Here's a music video for their song "Born Tying Knots" which will appear on their upcoming album. Some of the imagery you'll see in this piece will also be included in our series. So in a way, this is a unique glimpse at what is to come, sonically and visually. Selbyville will also be one of the bands playing at our Premiere Party on February 26th. Enjoy! From our new album coming this year. You read that right, on Saturday, February 26th we'll be having a special showing of the series pilot at the very spot that we shot an entire episode this summer. 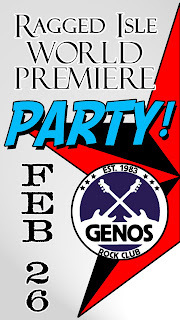 Geno's Rock Club in Portland is a good friend to our company The Entertainment Experiment and we thought it only fitting to show the first episode in the same place where we first showed our trailer to the public. I'm still working out all the details right now but expect to see live musical performances from some of the talented members of our cast and crew, some sort of giveaways and prizes and last but certainly not least, our very first episode. Also, I'm planning to put together a special sneak peak at the whole season that will only be shown at this event! Tell your friends. Bring your parents. This is an event not to be missed! Thought we'd make today's random image a little different. Here's the first glimpse of our title sequence created by Derek Kimball converted into a 1280x800 desktop wallpaper for your computer. Enjoy the view! Karen and I got to go see this wonderful play tonight starring two of our very talented cast members Michael Dix Thomas and Ian Carlsen. The play is entitled Blood Wedding and it has even more ties to our web series. Our Co-Cinematographer Derek Kimball is one of the live musicians performing during the play. Also in the band is Erin Sprinkle who was an extra in the series. Heck, even the super talented director of Blood Wedding Tess Van Horn is an extra in our series! Not sure how we lucked out and got all this tremendous talent to lend a hand to Ragged but we can surely say, this show should not be missed if you live in the greater Portland area. It's playing for two more nights. Don't say we didn't warn you. A lively, committed theater ensemble (who brought Ubu Roi to SPACE last January) comes together again to present Lorca's Blood Wedding, a classic tragedy that is at turns violent, beautiful, strange, and funny. The play deals with the big desires and grudges that can bloom and fester in small towns. Sound familiar? Original music written and performed by Hersey State, accompanied by members of Plains and Selbyville. With Amanda Huotari, Peter Brown, Nicholas Schroeder, Pat Mew, Laura Chakravarty Box, Annie Larmon, Dena Riegel, Michael Dix Thomas, Ian Carlsen, Joe Bearor, Amanda Painter, Deirdre Fulton, Andrew Sawyer, and Claire Guyer. Our very own Deputy Dan "Erik Moody" was featured in this weeks Portland Press Herald. Check it out! The editing of Ragged Isle is coming along quite nicely. The story and the flow of the piece is really feeling good. 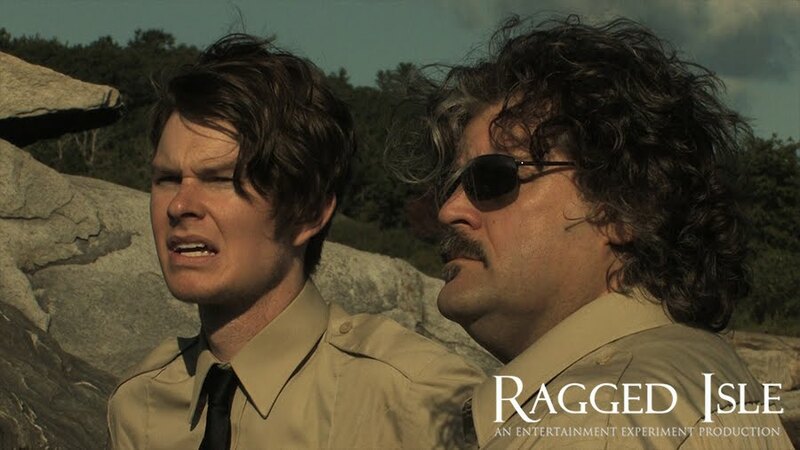 Much more epic than I think folks usually expect with a web series. It will be interesting to get the audience reaction to some of this stuff. Definitely outside the norm. Help in part will be coming from the fantastic music that we will be showcasing. Original tracks from local artists Selbyville, Robber & Thief, Richard DeCosta, The Lucid, Vik44, The Lodge and others are adding immensely to the ambience of the series. 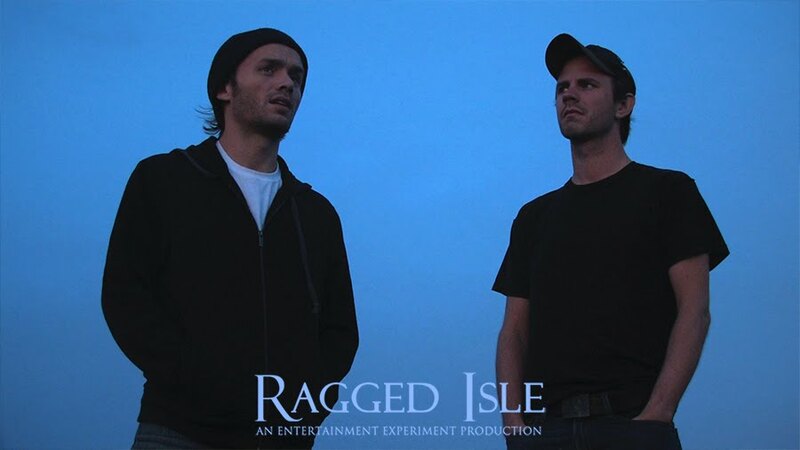 We'll be releasing a soundtrack for Ragged Isle once the last episode goes live. It will also be included in some of our donor packages. So much talent around here. I'm proud to be able to have a hand in showcasing a small sample of it in Ragged Isle. 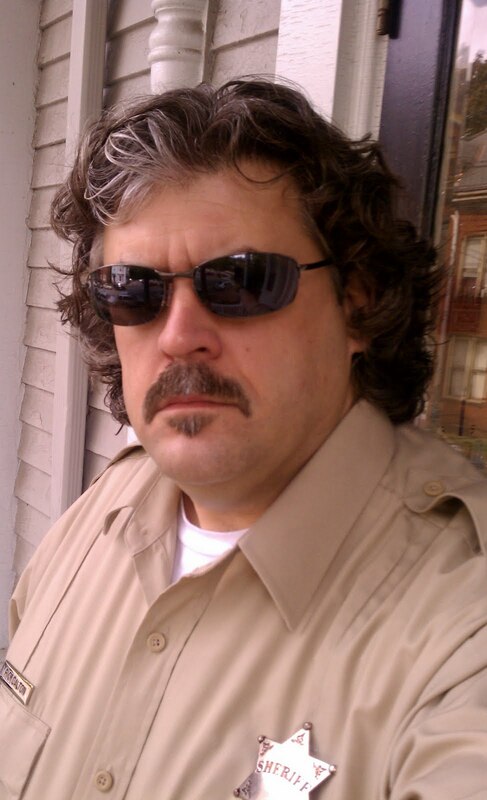 Best hair in law enforcement. Even in the middle of a murder mystery... you gotta take a hot minute to boogie. My name is Karen Dodd. I am on a journey that has taken me to Ragged Isle, a small windswept island far off the coast of Maine. This journey takes me back to writing and the heart of inspiration. One that I will continue over the next few weeks. The schedules have been made and the film has been shot. The editing continues as an adventure of rediscovery and reinvention. 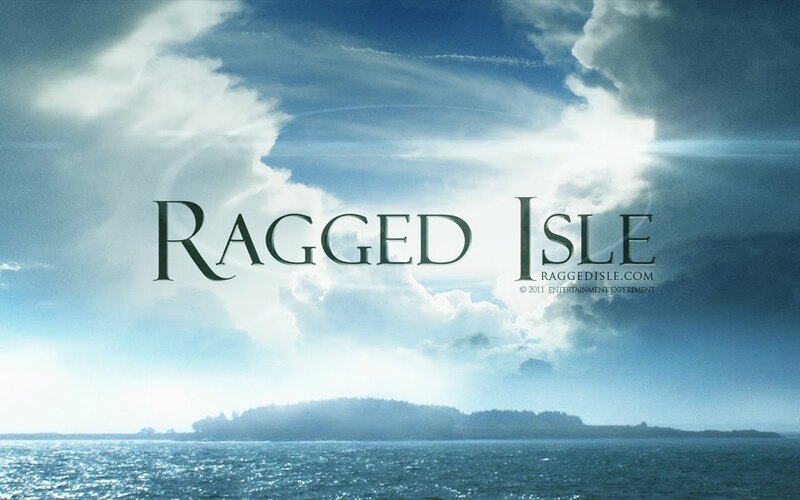 Soon you will join me on Ragged Isle where everyone's a suspect and no one is safe. 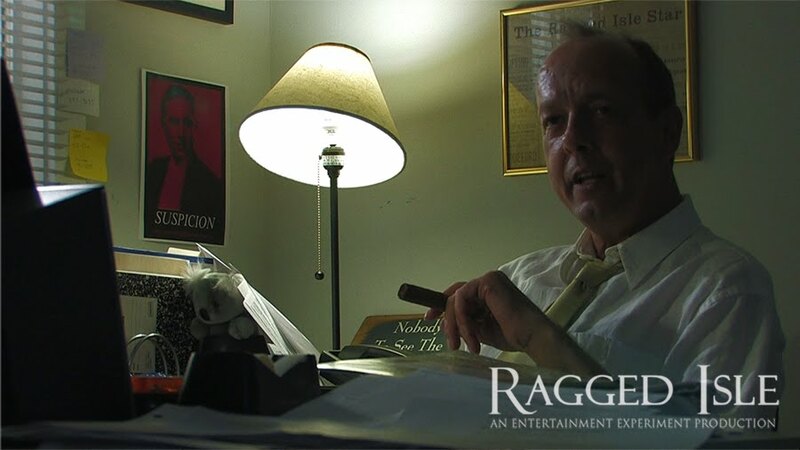 Denis Fontaine as Vance Trundle, owner of the island newspaper the Ragged Isle Star. I can't wait for people to start seeing me be this guy. so about a year ago a few of us got together at Barry's and started a project. Not unusual for me – Barry and I have known each other for 30 years, and have been collaborating nearly as long. But this time was somehow different. We made progress immediately. Barry, Karen, Rick, Greg and I seemed to click – complimenting , expanding, and nurturing this idea. fast forward to this past Sunday I met up with "the Dodds" and was able to see some rough cuts. Let me just say: Wow. I mean, I was unable to see the filming, so seeing it this close to final seemed unreal. I remember the conversations about this or that: "we can't do that, cause this happens over here", "we should have this person go here", "this is the part when this happens to them", and now? Now it's SOOO close. I missed the one showing of the play we wrote in 5th grade. There's no way I am missing this! A quiet foggy morning on Ragged Isle. It's not all rocky coastline on Ragged Isle. 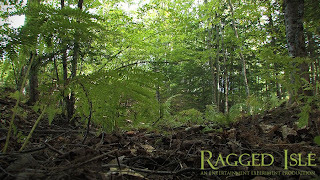 There are plenty of dense forests as well. Lots of places for secrets to be kept. 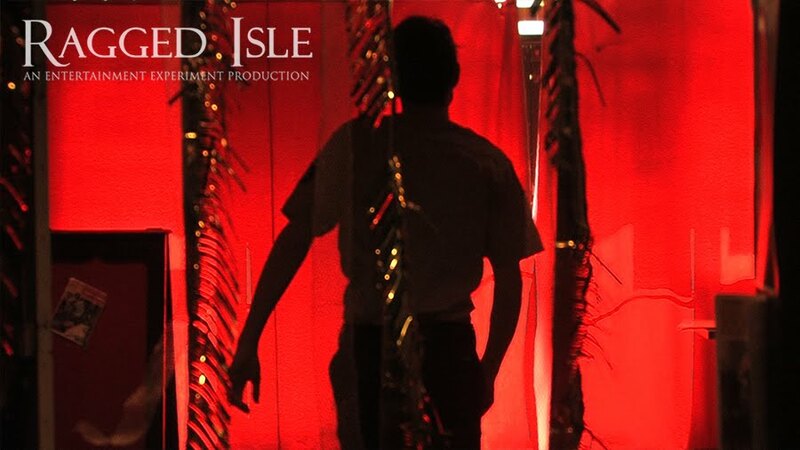 It's best to steer clear of the woods on our island, unless you've got something to hide.